Vinyl week 2017 has landed in-store & online! Whether you're starting a collection or you're looking to fill gaps, you can get some of the greatest vinyl albums of all time at some amazing prices. 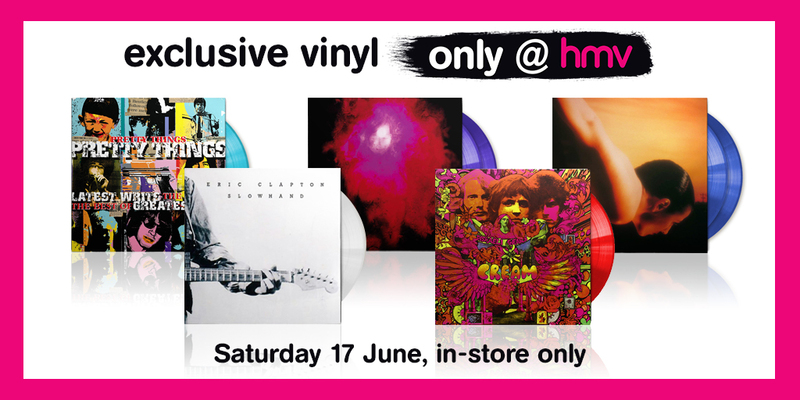 Arriving in-store only on Saturday 17th will be the hmv exclusive editions including coloured vinyl and an exclusive sleeve! Remember, they will be available on a first-come first-served basis (while stocks last). Titles will be available in-store only from Saturday 17th June from opening. All stores will have a limited quantity of all the exclusives which will be sold on a first-come first-served basis. Strictly no reservations. Please arrive in store early on Saturday 17th June to avoid disappointment. Mad about vinyl? Then head to our vinyl records nerve-centre right now!